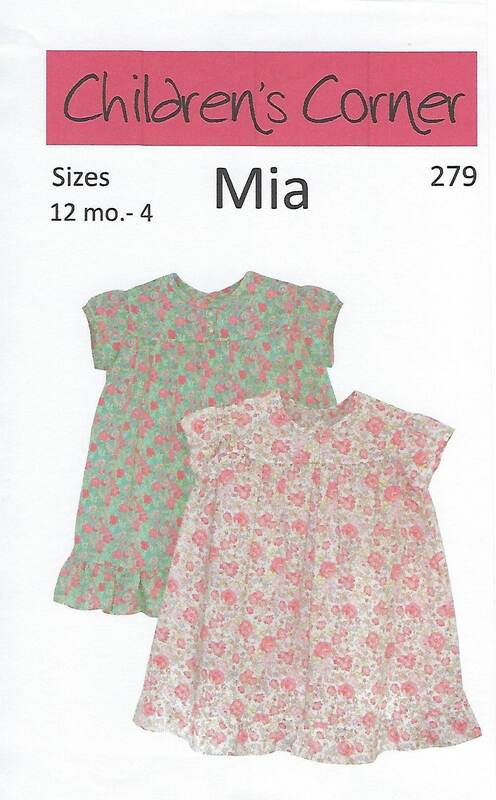 MIA is a little girl's dress with a slightly curved yoke, a slightly gathered skirt and a ruffle at skirt bottom. MIA has an easy-to-make back placket with a two-button back yoke. The front yoke has a center front box pleat embellished with two sequin pearl buttons. Sleeve may be finished with a bias band for a puffed sleeve, or hemmed for a ruffle sleeve. 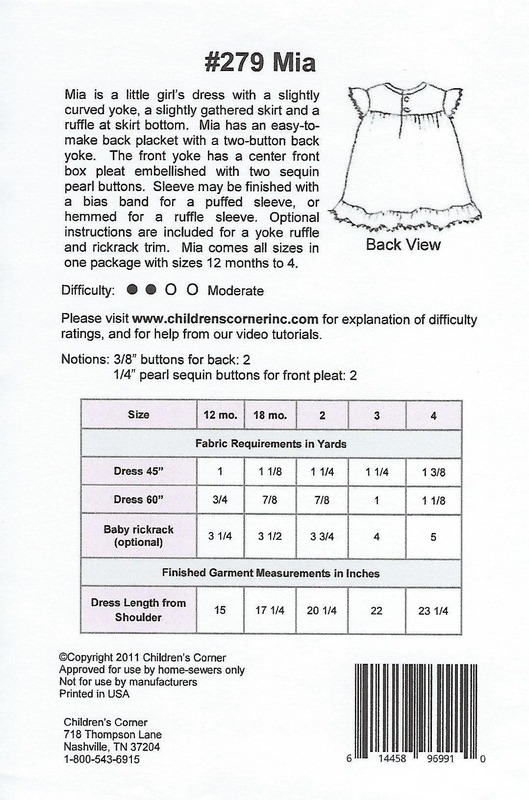 Optional instructions are included for a yoke ruffle and rickrack trim.